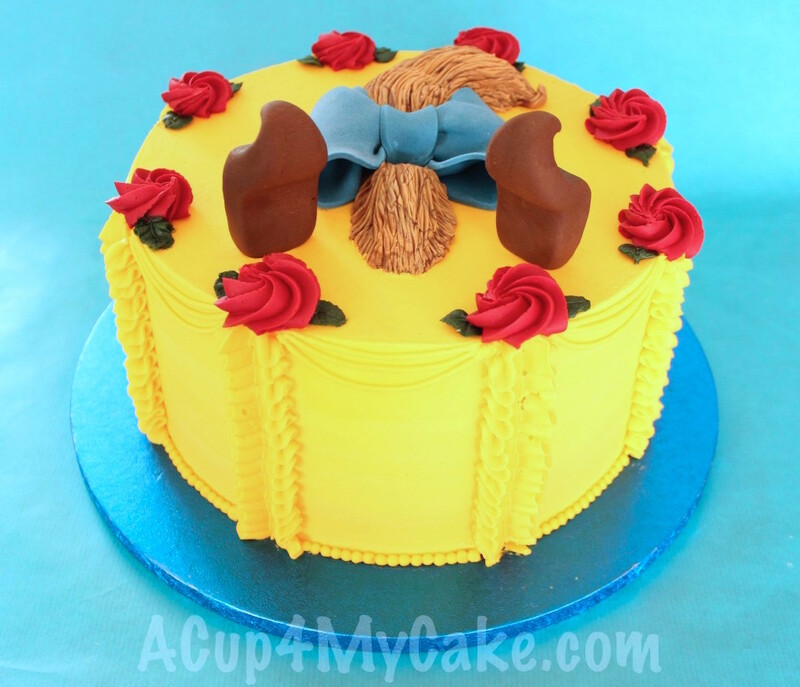 ACup4MyCake | The sweetest place on the Internet! 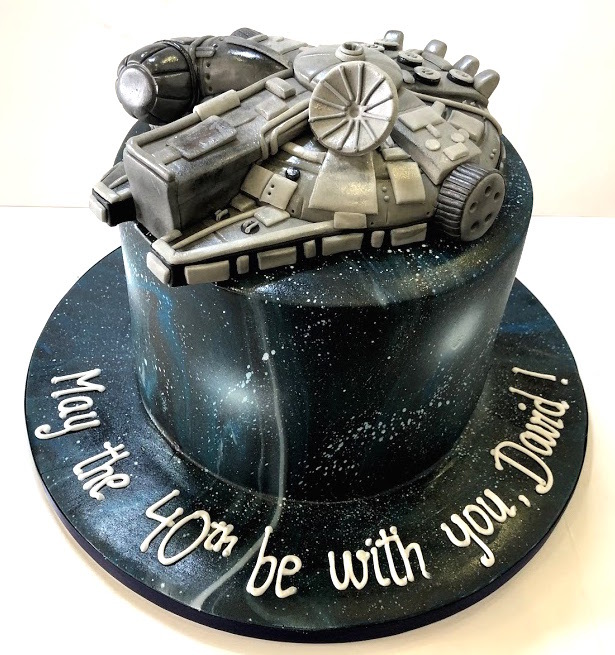 This is a cake for all the Star Wars fans. That right now may be extremely happy because of the screening of the film Solo on cinemas. Making this space ship requires a looot of patience due to the amount of tiny details on it, but it’s worth it the try. I enjoyed making it. 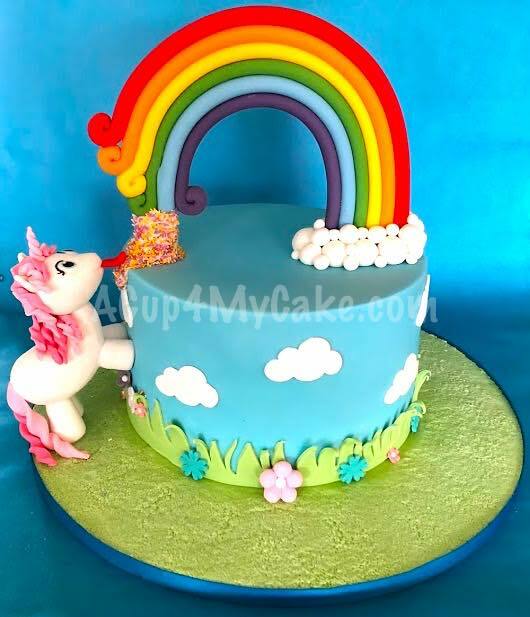 Unicorns are very popular recently and I realised about this tendency due to the important increase in cake orders with this topic. Last week I made this playful unicorn cake for a little 6 year old girl. I heard she was so happy with it so am I! Everything was made out of sugarpaste so it was completely edible if desired. The unicorn couldn’t wait and it started to lick the rainbow, lol. Have a nice and colourful weekend. Last weekend I decided to give IT clown a go. Yes, that creepy clown from IT film. Halloween is around the corner and this year I wanted to model something cool and someway challenging! To make his face I used modelling paste, which is a smooth and elastic sugar paste to specifically model. I tried Saracino brand and it was so awesome to work with. For the body and clothes I used fondant + CMC. 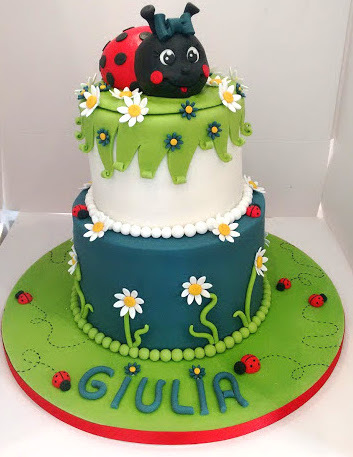 Just posting a little cute lady bug I made time ago. All edible! 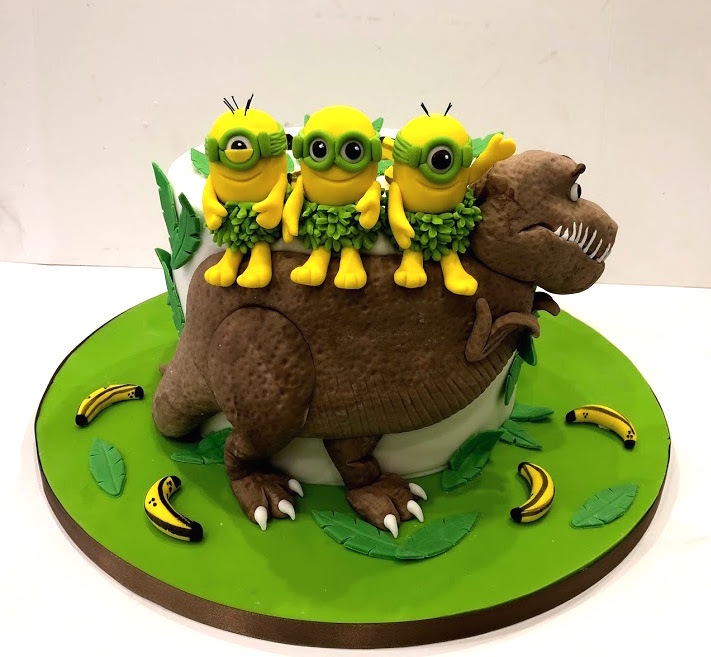 I just love loooooove making novelty cakes for children. Anything childish or colourful makes my day! Also, I learn many things about TV shows and films that I had no idea they existed! Like this Jake and the Neverland Pirates. I didn’t know who he was until I had to make his first cake! 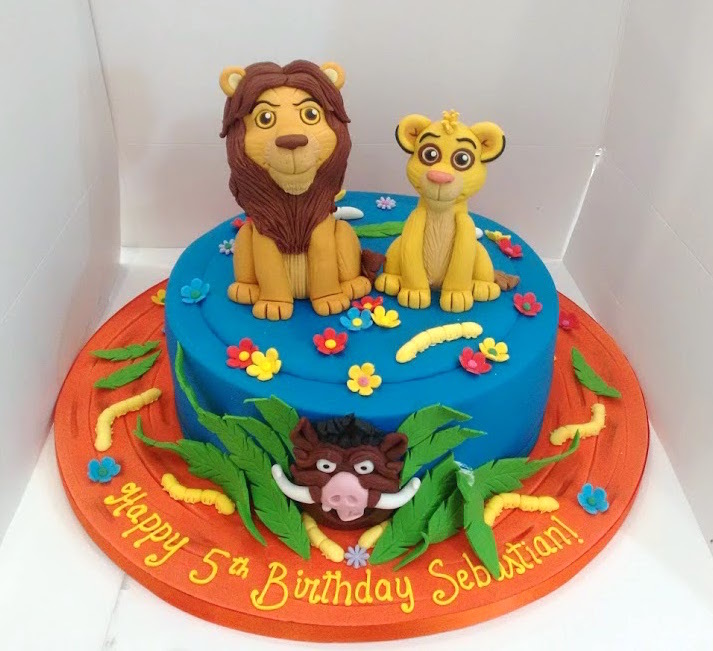 This is the Lion King cake I made a few weeks ago. Colourful and vibrant! 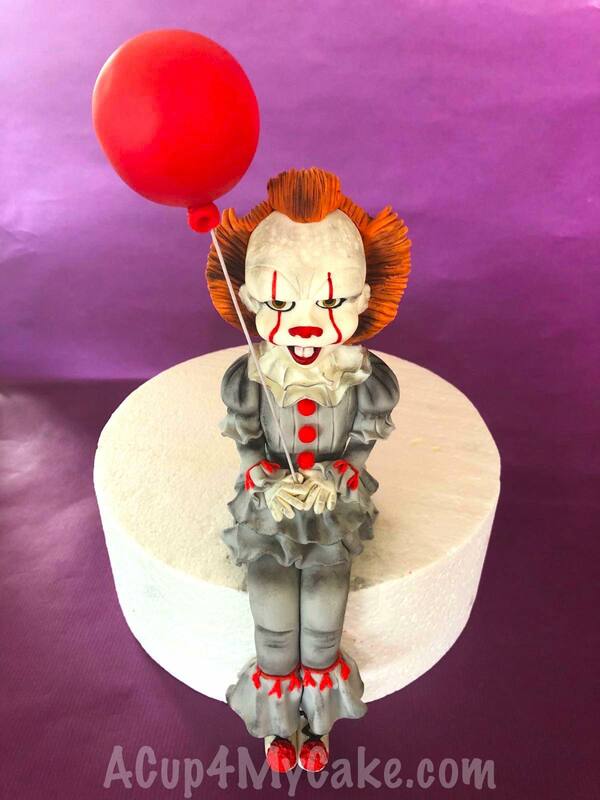 All the details and modelling, made out of sugarpaste. Happy Birthday Sebastian! 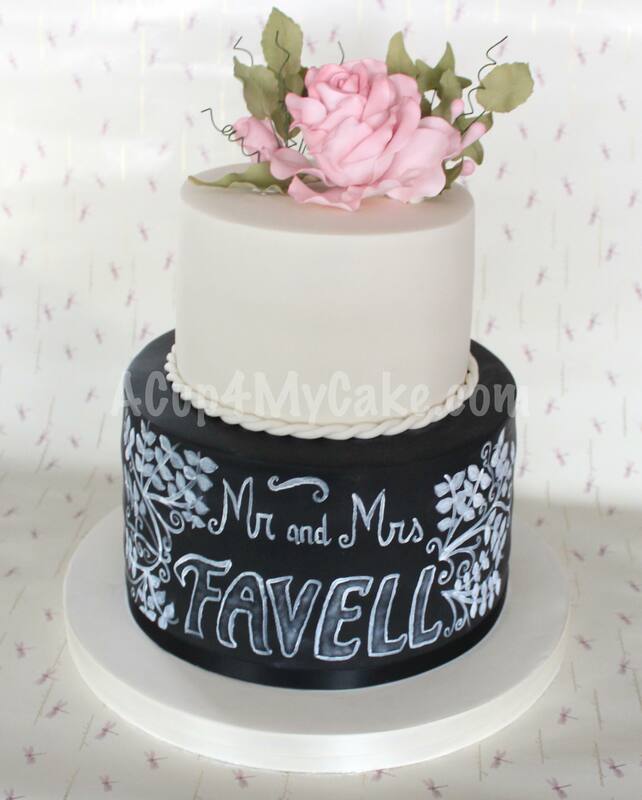 A couple of months ago I made this two tier wedding cake for my friend’s colleague. She wanted exactly this design. Making the chalkboard effect tier was easier than I expected. 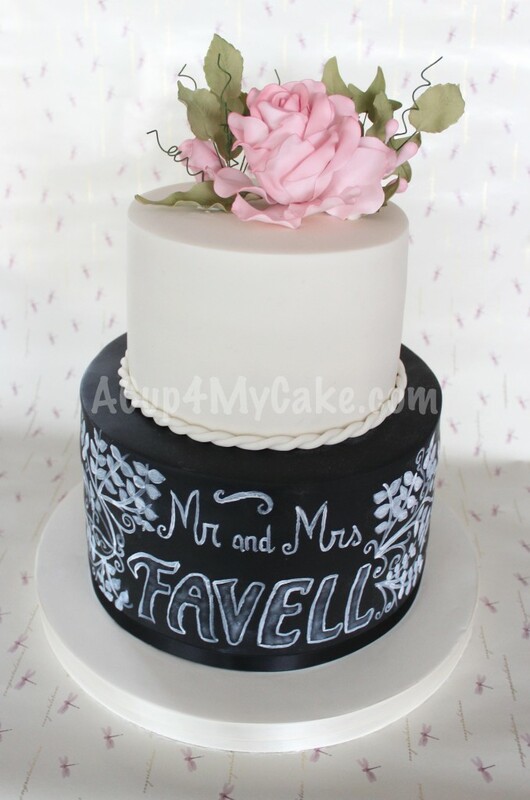 I brushed the black fondant with a bit of icing sugar and painted the message with white food colouring powder diluted in clear alcohol. Beauty and the Beast was one of my favourite Disney’s films when I was a kid. Since then, I’ve watched it countless times… And of course, I recently went to watch the new cinema version, which I really really loved!! 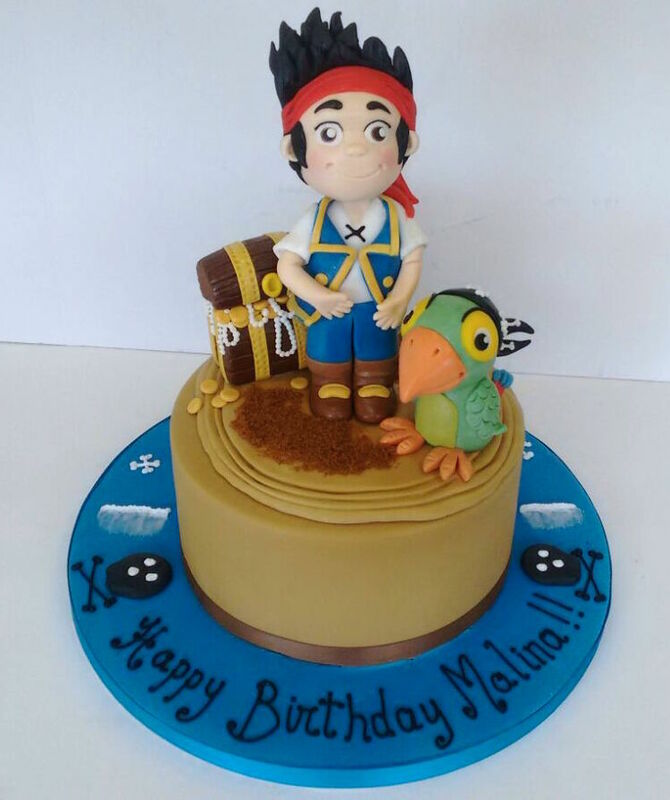 Anyway, my cake is based on the cartoon movie from the 90′s. 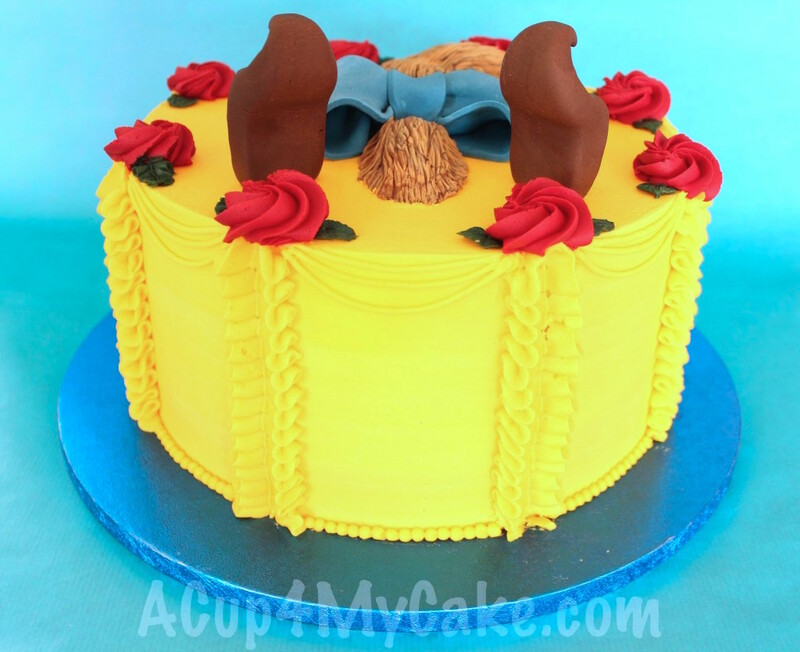 Belle’s details (dress and roses) are fully made from buttercream and the Beast’s ones (horns and bow), out of fondant -with cmc-. 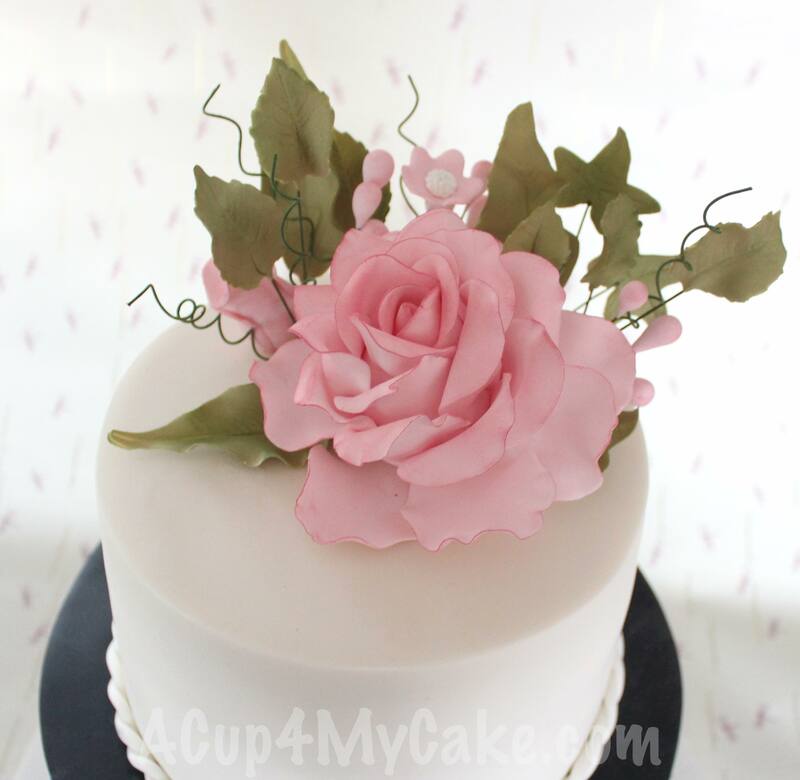 There are several ways to pipe buttercream ruffles but I decided to use a leaf nozzle, piping from bottom to top. The roses are simple rosettes piped with a large open star tip. Hope you get inspired by it! 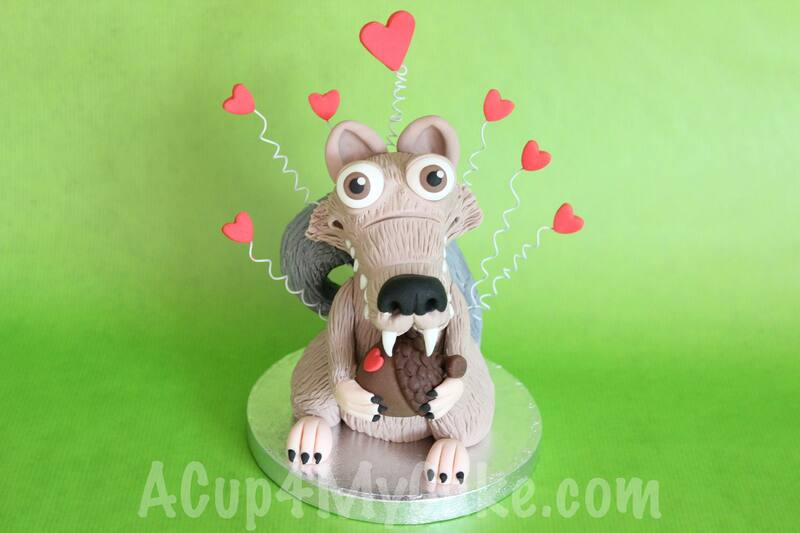 Scrat in Love. Happy Valentine’s Day! This weekend I made this sweet fondant Scrat (from Ice Age).